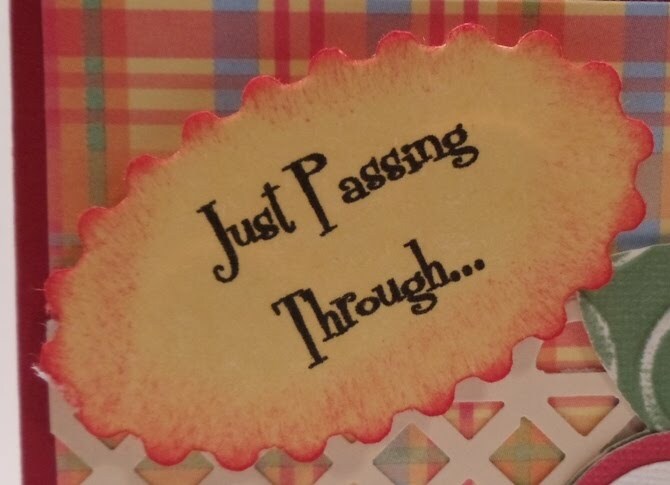 This card is 5 ½" X 4 ¼". 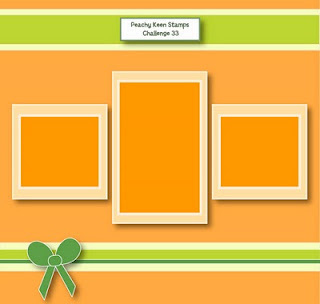 The Plaid background is 5 ¼ " X 4". apple cut at 7”(“JBC” is a tricky cartridge to use). 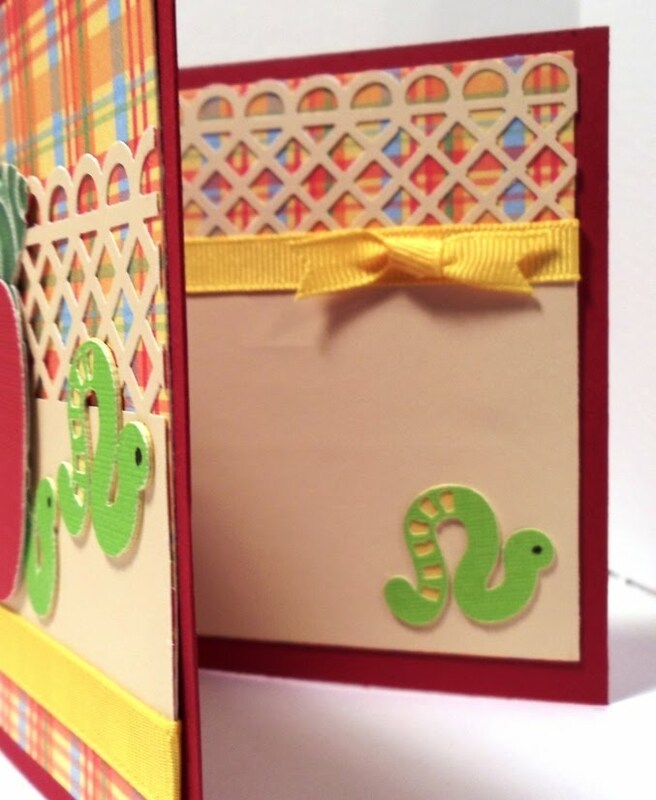 the D’vine Swirl embossing folder. from the B is for Boy Lite cartridge. the edges of the tag. Finally, I finished it off with some ribbon and a pretty bow. That is soooo cute! 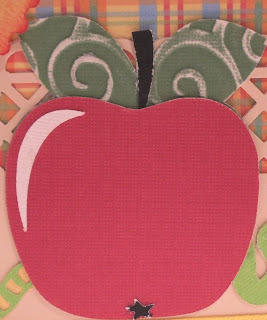 I love the embossing you did on the apple :) TFS. 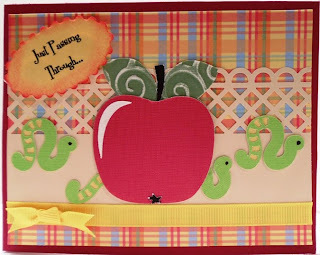 What an adorable card and love the colors..love how you put the worm going thur the apple. 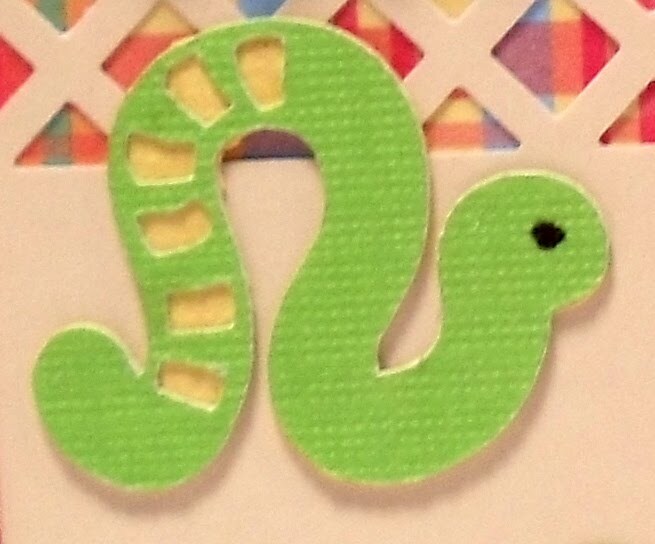 This is too cute love that worm. very cute card, love the little worms, the lattice and your inking!! good luck with the Peachy Keen Stamps Challenge!! Thank you Everyone! You are all so super, super sweet! wow - how cute! LOVE it - wish I was creative :( I have to steal all my stuff LOL - glad I have so many creative people to copy! How cute is this! 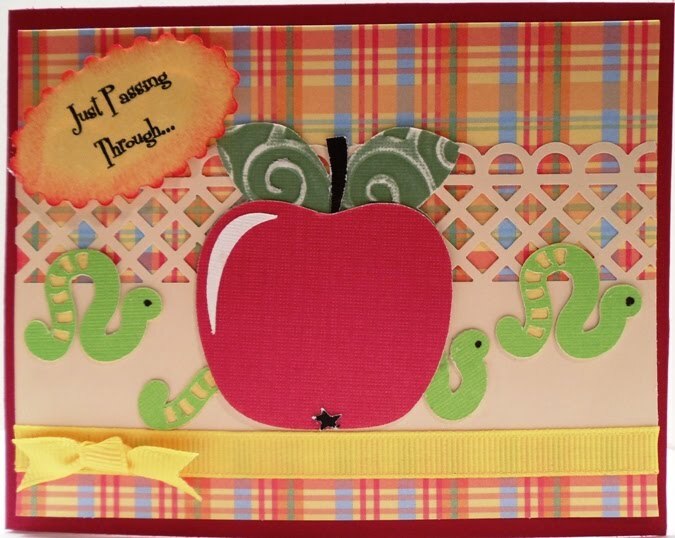 Love the sentiment with the worms, and I love that you decorated the inside of the card! Good luck with the PK challenge! SO SO SO SO SO CUTE!!! I ♥ it! 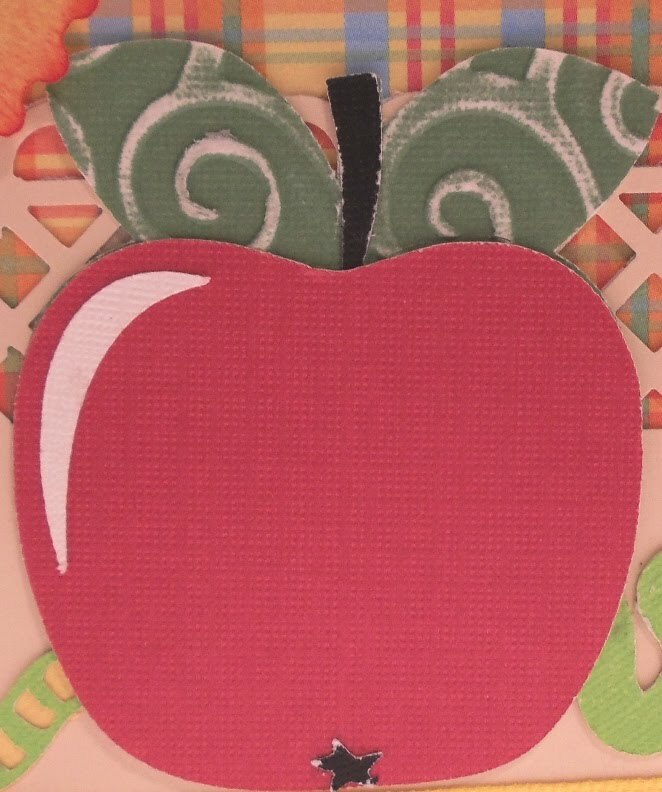 Thanks so much for playing along with us at PeachyKeen! So adorable! Love those little worms! Your cards always look so "clean cut" - I love it!! 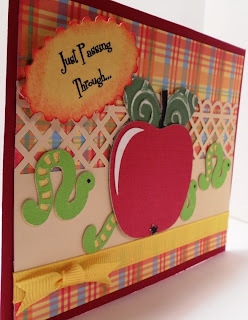 The embossing on the leaves is PERFECT!! The paper the punches - great card!! Thanks for sharing! Such an adorable card. Love the little inch worms & the apple & like the inside too. I love everything you make it's all beautiful! Can you buy empty paint cans like that anywhere to decorate? I wish I had half of the carts that Provo Craft has out. I only have 10 so far. No Halloween ones. I love your site. Check my blog out and let me know what you think.